Employment Opportunities | Harry K Ford Store Inc.
Are you bored? Are you stuck in a "dead end" job that's not paying you what you're worth? Do you enjoy meeting new people? Do you enjoy helping people? Do you enjoy a new challenge every day? Don't think you're qualified? Don't cheat yourself! Give us a call and learn more. • A need to earn a lot of money! No previous dealership sales experience required! We will train the right person. We want an outgoing personality with expertise at developing relationships (i.e., a "people person") and a professional appearance. We strongly believe in creating satisfied customers and having fun while doing it. If that sounds good to you, we have to talk. If you want to work for a successful organization where you can make a difference, then this is the place for you. We are a highly-reputable Ford dealership located in Winner, South Dakota. We are looking for experienced technicians who are focused on customer-satisfaction. South Dakota has over 5 million acres of hunting opportunity on public land and private land that has been leased for public hunting. However, the vast majority of the state is land held in private ownership. 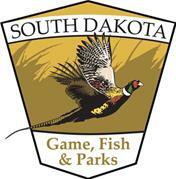 Permission is required to hunt private land in South Dakota. Your ability to develop a connection with private landowners will enhance your hunting opportunities. We encourage you to create a personal and working relationship with private landowners. Respect their rights and their land. Winner, SD area #1 "The 25 Best Pheasant Hunting Towns in America"
A Winning Career search is the most important investment you can make in yourself! If you feel you can add to our success, call or text me. The compensation we offer can be highly rewarding. BONUS BASED ON EXPERIENCE. Do a friend a favor; E-Mail them this ad.